The city formerly known as Saigon has a bloody place in 20th century history. After becoming the capital of South Vietnam following the country’s division in the wake of the defeat of French colonialists, Saigon was the focus of much attention during America’s fight with Communist North Vietnam in the 1960s and 1970s. It was in Saigon where monk Thich Quang Duc burned himself to death in protest at the persecution of Buddhists in Catholic–controlled South Vietnam. His actions shone an international light on the country and led to the removal of President Diem. America’s war, however, was only just getting underway. Throughout the Vietnam War, Saigon was seen as a safe hub for U.S. soldiers and government contractors. But when the city finally fell to the North Vietnamese in 1975, the gates of the Presidential Palace smashed by tanks, residents clamoured to leave with the last U.S. residents, many clinging to helicopters taking off from the roof of the American embassy. The following year, Saigon’s name was changed to Ho Chi Minh City, named after the famed leader of the north, its status as capital city lost to Hanoi. The name Saigon, however, continues to be used by many Vietnamese to refer to the city. There is so much more to Ho Chi Minh City than its place at the heart of the Vietnam War though. Ruled over by Chinese and Khmer settlers and colonised by the French and Spanish in the 19th century, this is a city now proud of its independence from outside powers. Following the Vietnamese government’s 1986 policy of doi moi which saw the economy opened up over ten years after the end of the war, Ho Chi Minh City began to boom. 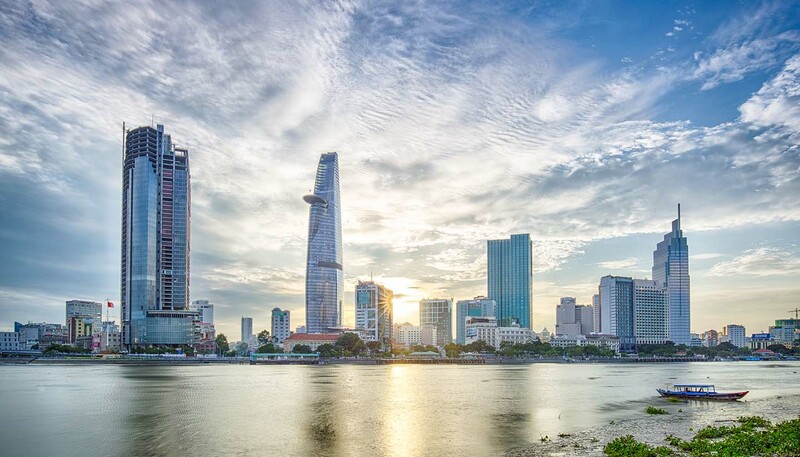 With locals able to run their own businesses and Chinese money flowing into the city, Saigon has become one of South East Asia’s most vibrant metropolises, its skyscrapers and bustling streets a sign of this city’s will to overcome the worst adversity. • The U.S. military held daily press conferences, known as ‘5pm Follies’, at the upscale Rex Hotel. • Saigon only became one city in 1955, when it was merged with neighbouring Cholon. • Saigon was the capital of South Vietnam from 1954-1975.